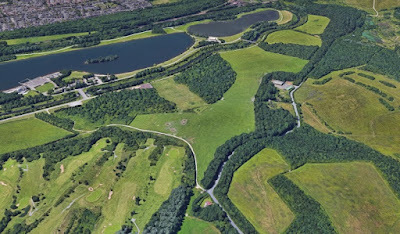 Rotherham Council's proposals for a £4.7m caravan site within the popular Rother Valley Country Park (RVCP) are being recommended for approval at the authority's planning board. Rothbiz reported on the detailed plans in February which set out how six hectares within the Greenbelt site could be used to create an attractive caravan site which complements the country park and combines with the leisure facilities. Permission is being sought for 129 touring caravans and 34 tent pitches for the exclusive use of holidays and it is proposed that the site is open all year round to benefit from the opening of Gulliver's Valley on adjacent land in 2020. The plans, drawn up by Council architects, also include ancillary buildings for toilets/laundry, a reception building with café and shop, a bike lock up and children's play area. Access will be via Mansfield Road and then Delves Lane. A network of footpaths will connect the various elements of Rother Valley Country Park. A report to the planning board sets out why the plans should be approved, subject to a number of conditions. The report states that the proposal represents inappropriate development in the Green Belt and that very special circumstances need to be demonstrated to overcome the harm caused. It adds that the plans do this by positively impacting the visitor economy. If approved, the proposals are expected to improve the quality of tourist accommodation within Rotherham by providing the "highest quality and largest camp site within the Borough." It would also improve the image of Rotherham, attract investment, create three full time jobs and enhance the role of RVCP by adding tourist accommodation, which formed part of the original vision for the park. 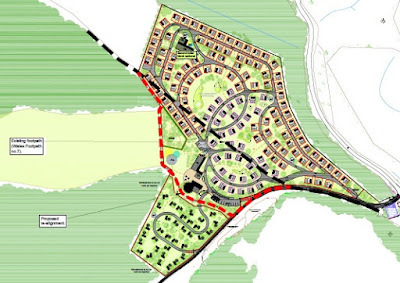 The plans conclude: "The proposed development is considered to constitute inappropriate development within the Green Belt, however very special circumstances are considered to exist due to the economic benefits of the development in terms of increased local employment opportunities and the increase in numbers of tourists and visitors to Rotherham." A number of objections have been received, largely based on transport issues, but the Council's planners conclude that the proposal is acceptable from a highway safety and transportation aspect. Conditions include junction improvements to Delves Lane/Mansfield Road and one that ensures that the caravans are touring only rather than permanent residences.